Decatur, Ala. – In Athens, Ala., the love for fried food is strong and to celebrate, the North Alabama city has dedicated a day to celebrate all things dipped, battered, and fried. Set for Sept. 30, 2017, in downtown Athens, the Athens Grease Festival pays tribute to the Greek origin of the city’s name while celebrating a love for fried food, and partygoers are asked to don their best toga and join the festivities. This year’s event features a couple of new activities and festival organizers are also pleased to announce the event has earned a Top 20 Event in the Southeast award by the Southeast Tourism Society. The annual festival brings food and fun to locals and visitors beginning at 11 a.m. and continuing until 6 p.m. A variety of food vendors will offer traditional festival food and specialty items such as fried bacon dishes, fried desserts, and barbecue. Organizers are not worried about encouraging others to indulge as long as everyone eats responsibly the other 364 days of the year. New events include a farm to table dinner on Sept. 29, which requires a separate ticket, and a 5K and fun run around the downtown area. Other features include a frozen turkey toss, appearances by Athena – Grease Goddess, a Dub’s Burger Eating Contest, crafts, a children’s art and activity area and a best toga contest. Steel City Jug Slammers and a handful of other local bands will offer live music. The prestigious Southeast Tourism Society has named the Athens Grease Festival a Top 20 Event in the Southeast for September 2017. Founded in 1983, STS is a non-profit organization dedicated to the promotion and development of tourism to its 12 member states of Alabama, Arkansas, Florida, Georgia, Kentucky, Louisiana, Mississippi, North Carolina, South Carolina, Tennessee, Virginia, and West Virginia. All activities on Sept. 30 are held on The Square. Hours are 11 a.m. to 6 p.m. and admission is $5 for adults and $3 for children 3 to 12 years old ($1 off admission for toga wearers). Children 2 years and under get in free. 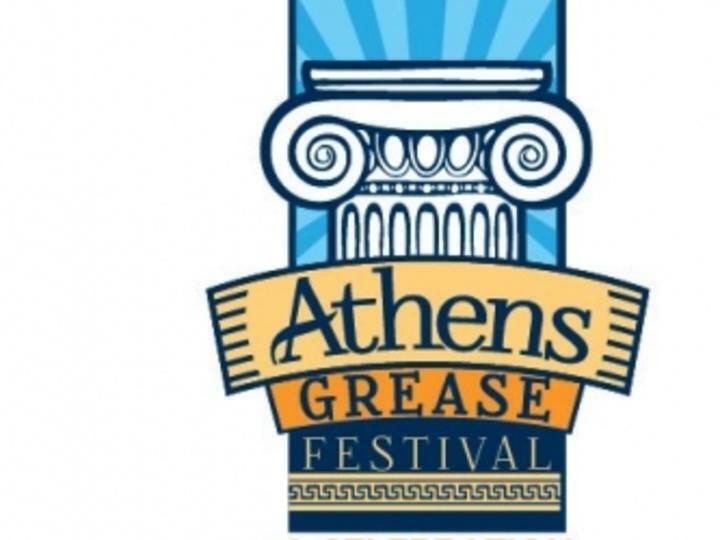 The Athens Grease Festival is organized and hosted by Athens Main Street, a non-profit organization dedicated to the revitalization of Downtown Athens. For more information, visit www.athensgreasefestival.com or call 256.232.9040.